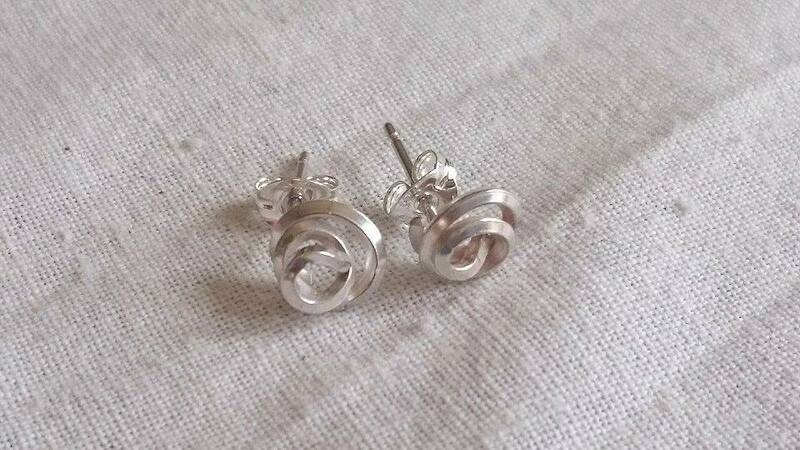 I commissioned Liz to make a pair of earrings for my wife’s birthday. After a brief discussion, Liz came up with a very nice design. She took care to ensure I was happy with the jewellery, and delivered it on time. My wife was really pleased. I highly recommend The Silver Workshop. 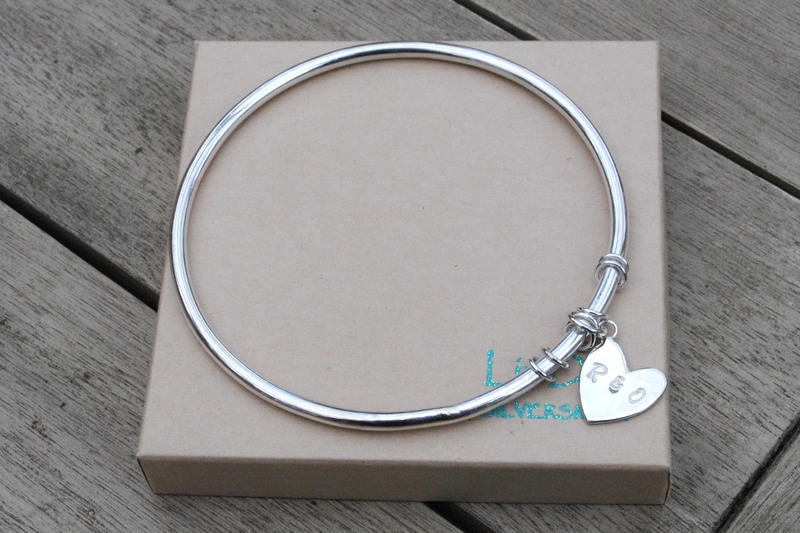 After buying a couple of rings in the past from Liz, I asked my husband to get me a bangle for Christmas, I absolutely loved it so asked for another one for my birthday, I’m over the moon with it and all the other pieces I have. Liz is so lovely and the service she provides is second to none. 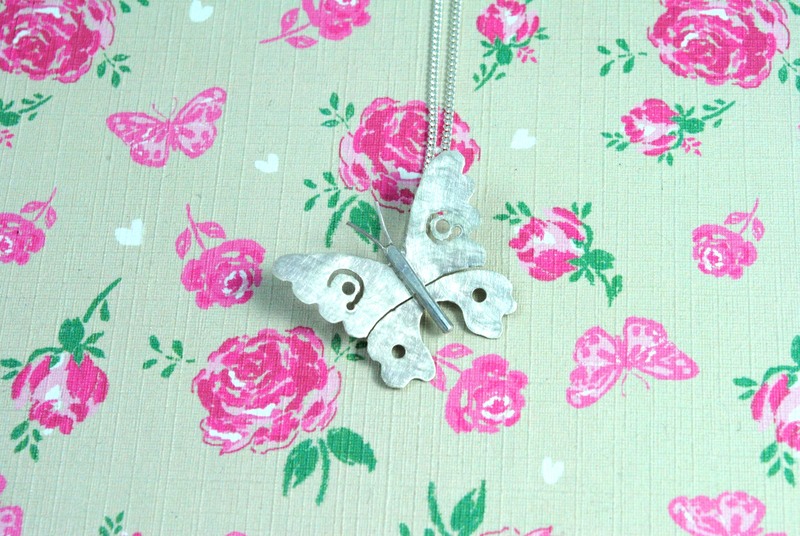 I love the fact I have some beautiful pieces of jewellery which are individual and unique to me. Will definitely be buying more in the future. Thank you so much!! 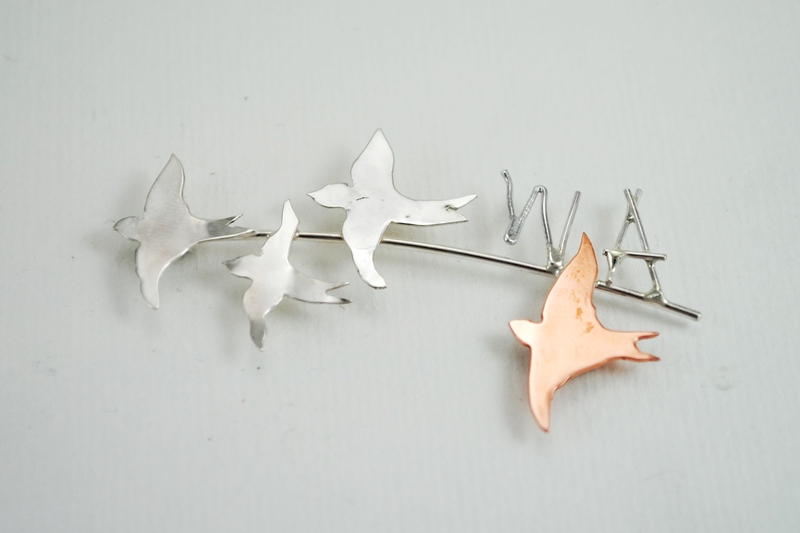 I saw Liz Dee and The Silver Workshop at Haddenham Maker’s and Artisans Fair last October. I was taken with so many of her pieces and these two rings in particular caught my eye. 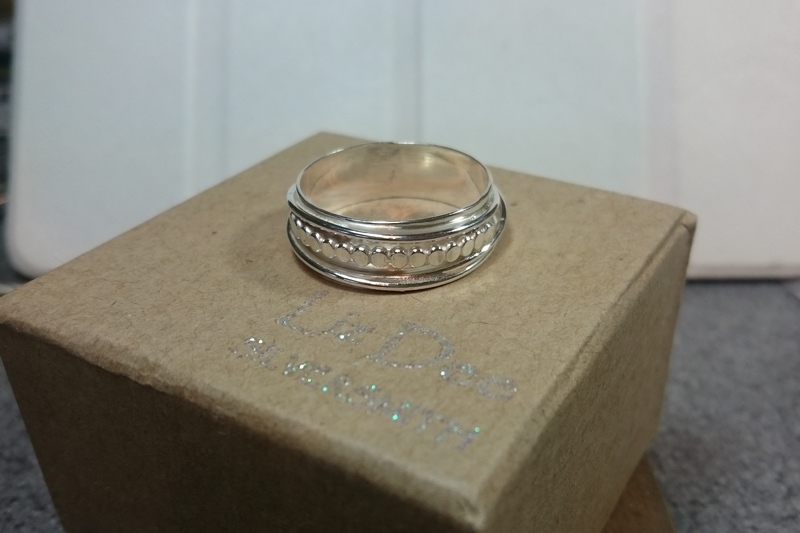 The wider band did not fit my troublesome leatherworkers’ fingers so I commissioned a ring. Liz is a highly skilled and tenacious silversmith who created this amazing ring for my awkward fingers, well one finger in particular. The pictures don’t really do the rings justice. I know a little of what is involved with bespoke processes and having something to cherish at the end is wonderful. Thank you Liz. Liz is so clever. 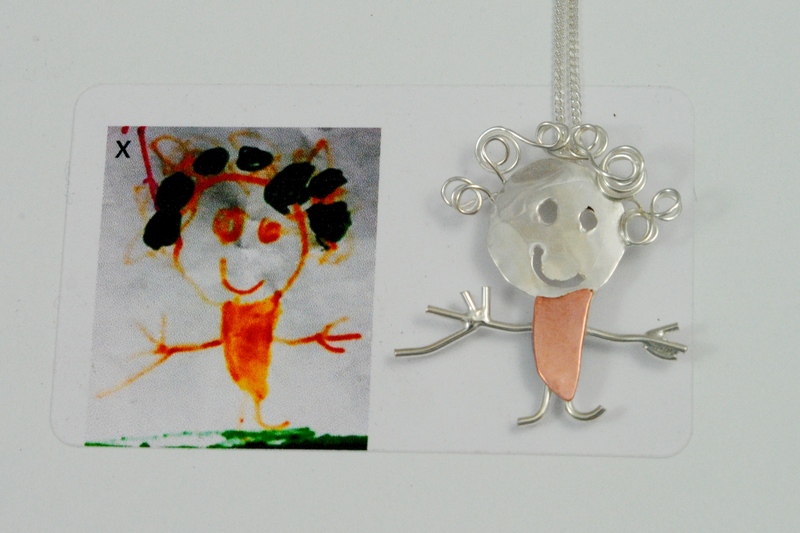 She captures the real essence of what your children has drawn for you. The quality is exquisite and is very wearable. Liz is a joy to buy from. Get yours now!